FOR NEARLY THREE DECADES, LONDON BAY HOMES HAS WORKED TO MAKE "PRIVATE LABEL LIVING" TRANSCEND A TAGLINE AND REFLECT THE SPIRIT OF OUR COMMITMENT TO BUILDING THE FINEST LUXURY HOMES IN SOUTHWEST FLORIDA. 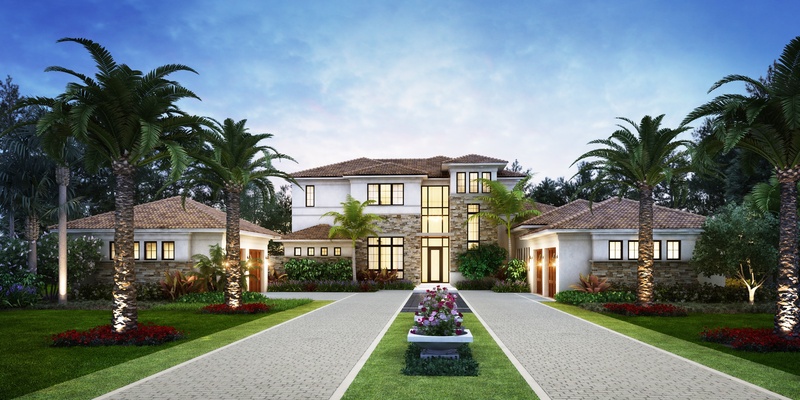 London Bay Homes’ CEO and president Mark Wilson explains how the custom builder creates a superior luxury home building experience called "Private Label Living" and what sets it apart from competing luxury home builders in Naples, FL. England natives, Mark and Gemma Wilson founded London Bay Homes in 1990. The company’s vision has always been to build luxury residences that possess unparalleled quality, design and finishes. It’s a singular commitment to ensuring each new residence is a perfect reflection of clients’ distinctive tastes and individual personalities. At London Bay, we call our brand’s promise “Private Label Living,” as it delivers the true luxury of a tailored fit for every client, ensuring their new home will be as unique as they are. Today, London Bay offers the full spectrum of building, development and design services, including an in-house team of interior designers, architects and renovation specialists. A leading homebuilder and developer in the Southwest Florida home market for nearly three decades, London Bay Homes has been named America’s Best Builder by Builder magazine and has earned more than 300 industry awards. London Bay Homes manages all new home construction sales and marketing for Mediterra. More than 60 purchase opportunities remain available in the award-winning community. Purchasers of homes by London Bay are eligible to secure a full golf membership immediately rather than being placed on the membership waiting list as a Limited Golf Member. 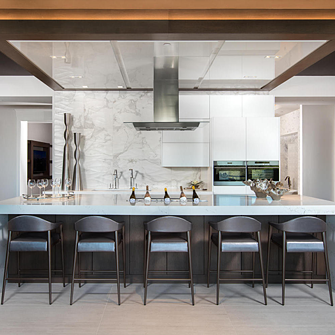 London Bay Homes Selection Studio showcases the latest design trends in the building industry and gives clients a way to see first-hand the luxury options and features they can select for their new residence. From flooring and cabinetry to countertops and faucets, the 3,500-square-foot studio offers intimate vignette spaces with varied designs featuring state-of-the-art finishing selections. The Selection Studio is staffed with a team of professionals to answer questions and work with clients to create custom designs reflecting the homeowners’ individual tastes.